Owning a boat can be quite the enjoyable experience. Whether you are looking for a relaxing day on the waters of the Intracoastal Waterway or you are looking to maximize the fun and test out your wakeboarding skills, owning a boat offers the chance for some serious fun in the sun. However, as much fun as it can be, owning a boat also comes with its own specific needs, such as finding a place to store it. Click here for a list of free boat ramps in the Wilmington NC area. You may be tired of having to haul it to the nearest boat ramp every time you want to enjoy a day out on the water. If that is the case for you, this is where buying a home with a boat slip comes in handy. It's no secret that it takes time to get your boat to the water. There's a whole lot of preparation that goes into a boat day--from getting the boat ready and hooking up the trailer all the way to driving to the boat ramp, it takes a considerable amount of effort to make it happen. Having access to a boat slip would cut out all that extra hassle, including the extra yard maintenance and wear and tear on your vehicle. So if I have a boat slip in my backyard, will I have to pay any dues? It depends. Some of our homes offer boat slips that are maintained by HOA; others require you to maintain the boat slip yourself. It is very rare when a boat slip in your backyard is maintained by HOA unless there are others with it. What about boat slips maintained by HOA? Boatslips maintained by HOA usually have a group of slips in one spot. So if it's important to you to have a boat slip that's maintained by the HOA and not you, make sure to mention that preference to your Real Estate Agent so they can get you what you want. Below is a list of homes that include a boat slip or you could do your own search in Advanced Search, you'll find assigned boat slips under HOA amenities. As always, you can contact us and we will set up the search for you. Are you looking for the best real estate agency in Wilmington, NC? When choosing a real estate agent, be sure to go with someone who has expert knowledge of listings and selling a property. The Regina Drury Real Estate Group has that and more. 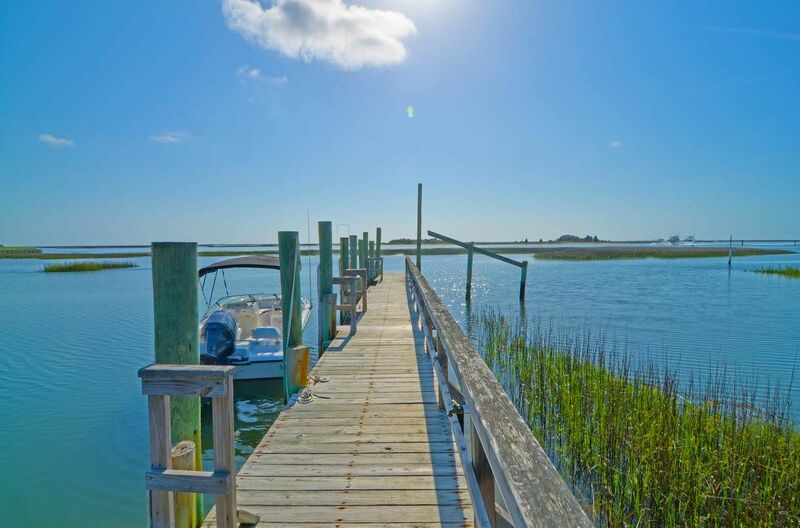 We are a Full-Time real estate company in Wilmington, NC; our crew can provide you with all of our expert knowledge and focus on maintaining a high degree of customer service that will leave a lasting impression. So much so that Encore Magazine nominated us for their Best of 2018 Contest for Best Real Estate Agency. Contact us today to talk more about your Real Estate needs. Why Choose The Regina Drury Real Estate Group? Are You Eligible for USDA (100%) Financing?